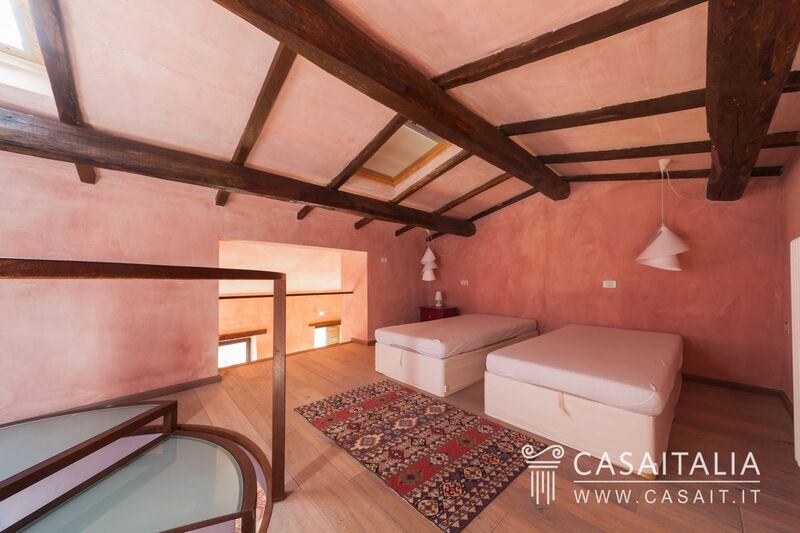 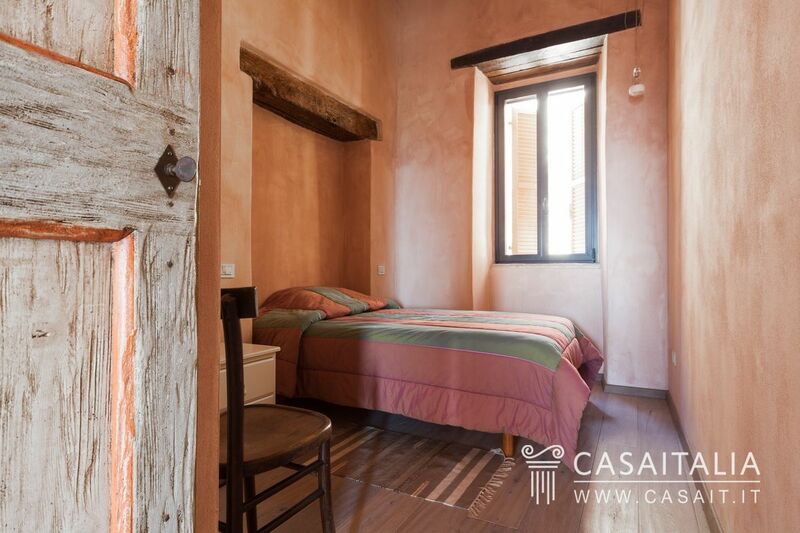 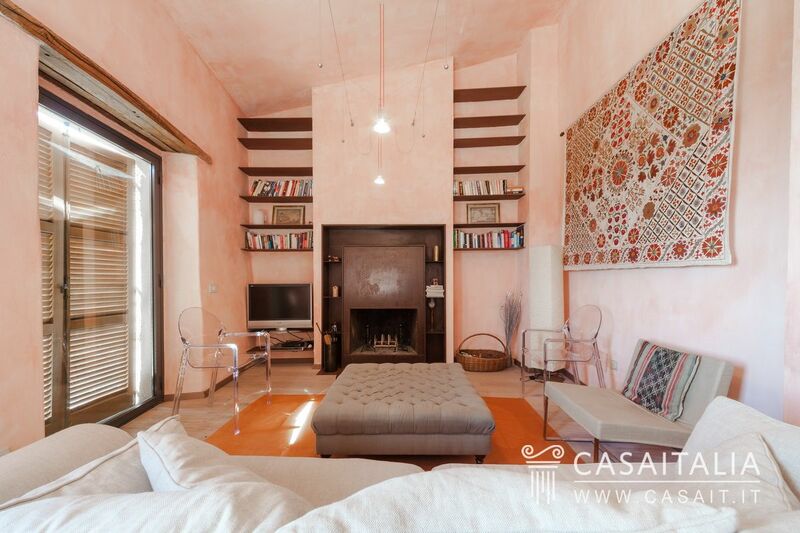 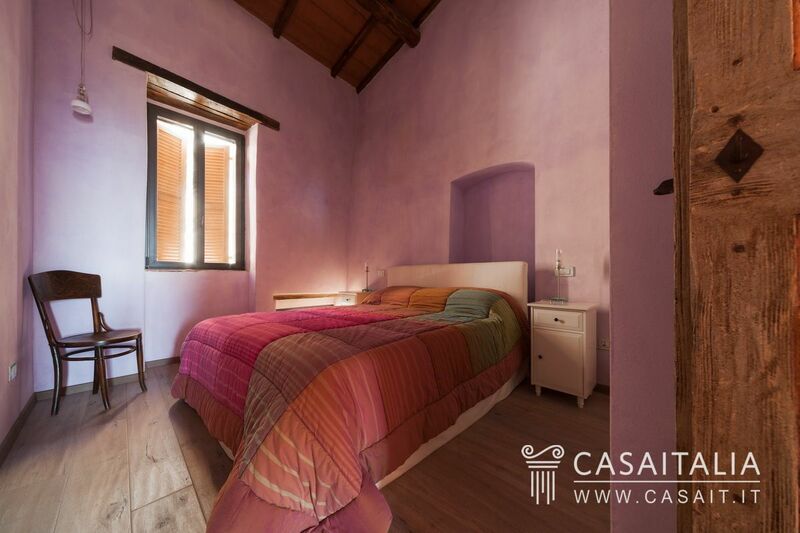 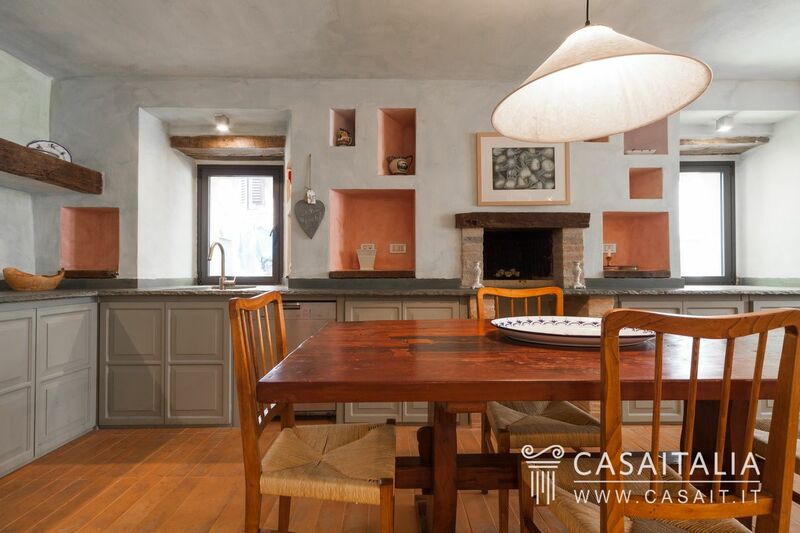 La Casa di Betty is a gorgeous, detached townhouse in the historic centre of the picturesque village of Collazzone, close to the medieval walls and with a stunning view of the countryside. 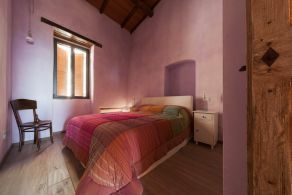 The village is inhabited throughout the year and has a few shops for basic needs. 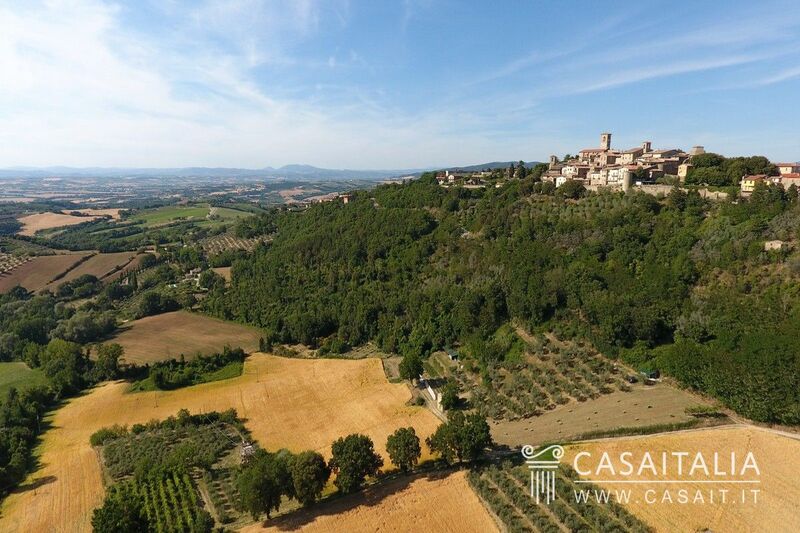 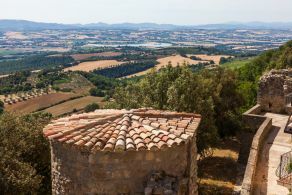 The town of Collazzone benefits from a perfectly central location in relation to Umbria’s most important art cities including Todi, Perugia, Orvieto, Spoleto and Assisi, all easily accessible in around 20 to 45 minutes. 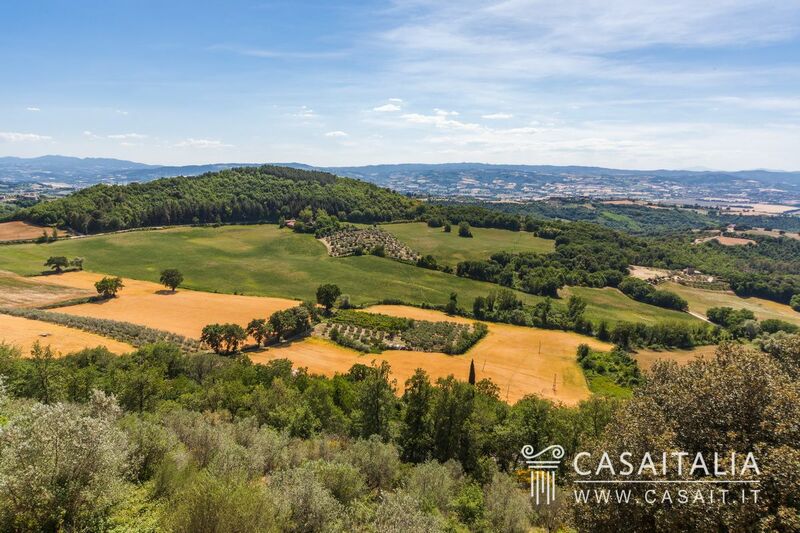 The E45 motorway is just 5 minutes away and allows you to reach Rome in an hour and a half and Florence in less than two hours. 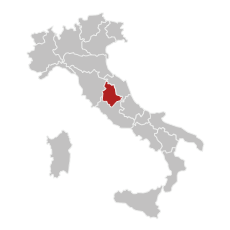 The connection with Perugia S.Egidio airport is excellent, just 33 km away, around half an hour from Collazzone. 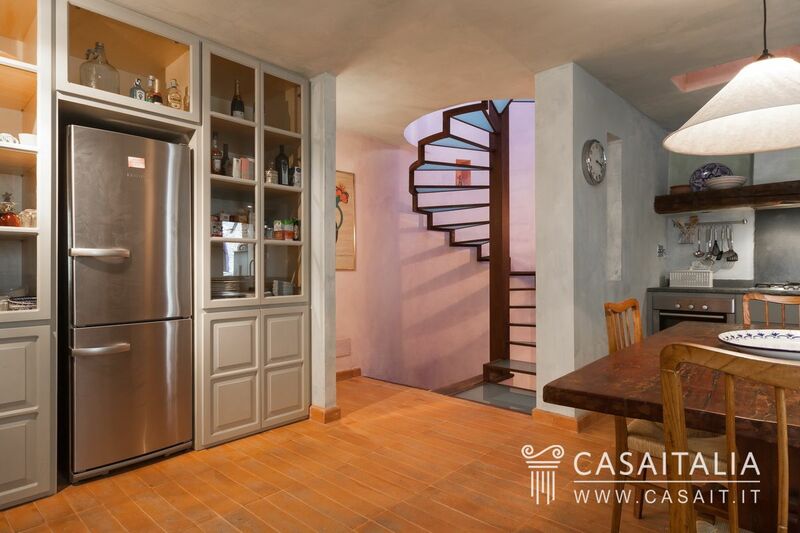 The house is a townhouse and is fully detached, with its own entrance. 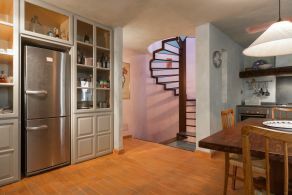 The apartment has two floors plus a loft and the basement which is used as a cellar and laundry with access from both inside and outside. 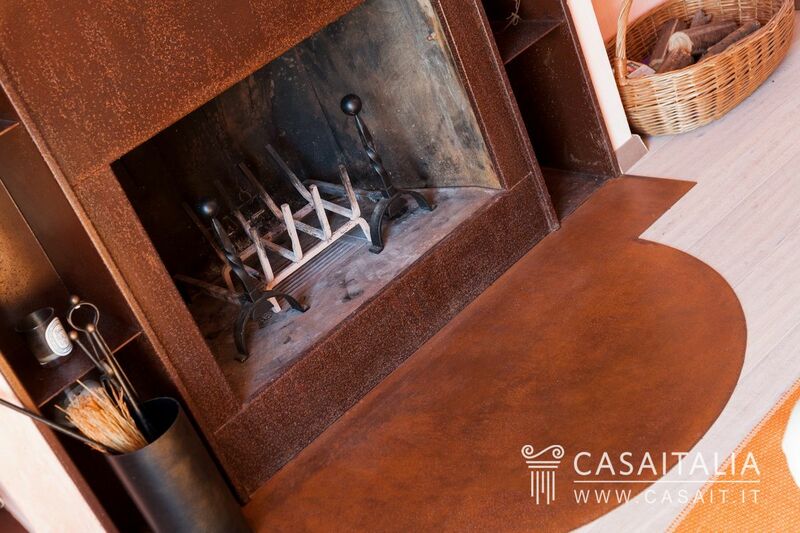 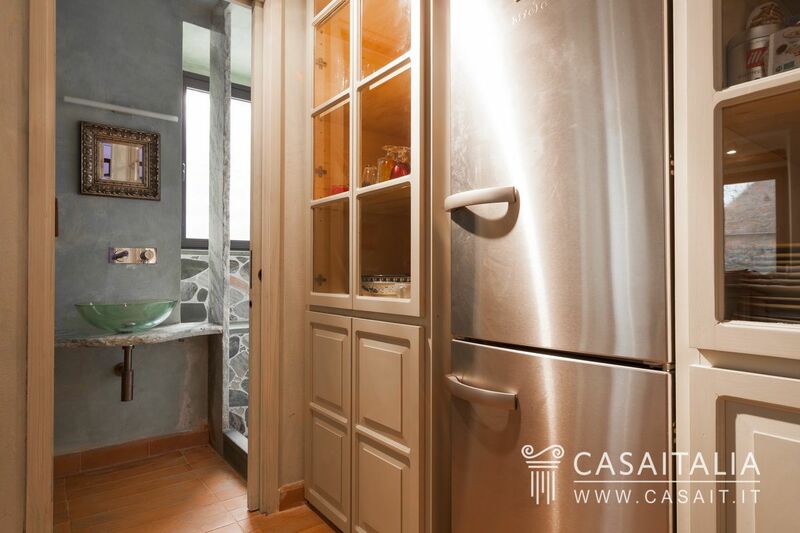 On the ground floor there is the kitchen with a comfortable dining room with fireplace and a bathroom with shower. 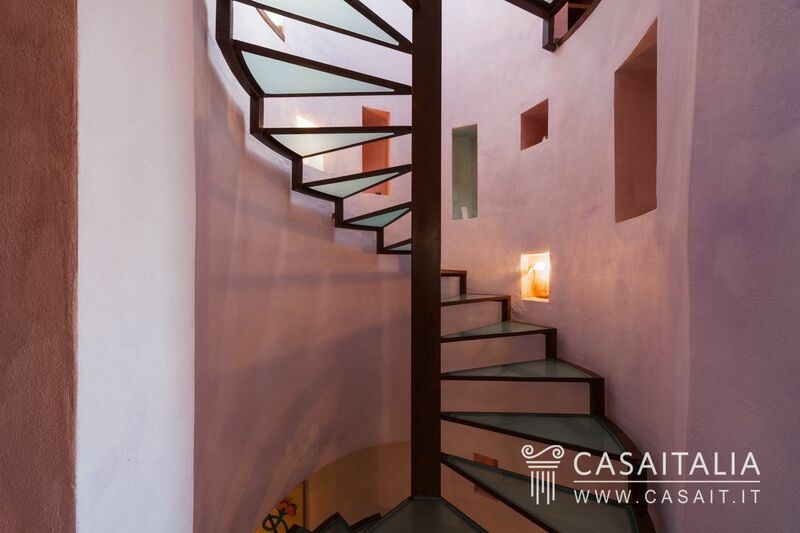 An attractive staircase goes up to the first floor where there is a large, extremely bright double-height living room, with two large French windows which look out onto the balconies, from which you can enjoy a stunning view over the walls and medieval towers to the unspoiled countryside beyond. 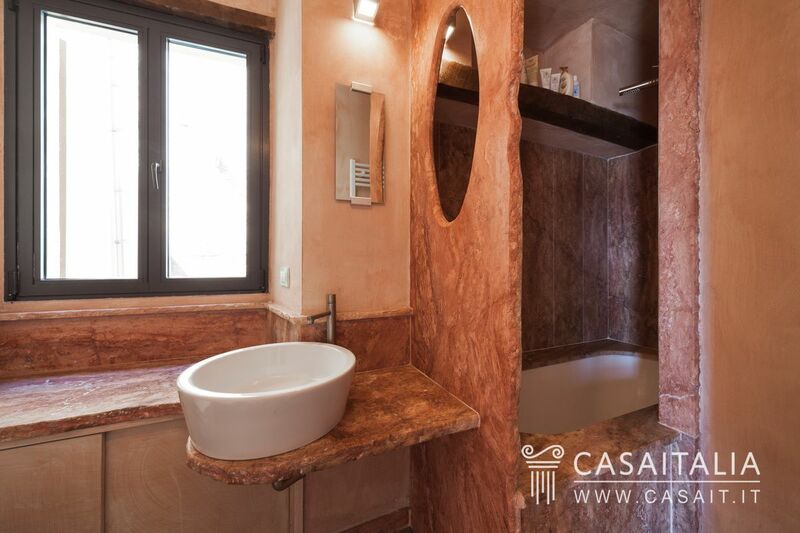 On this level we find two more bedrooms and the second bathroom with both shower and bathtub. 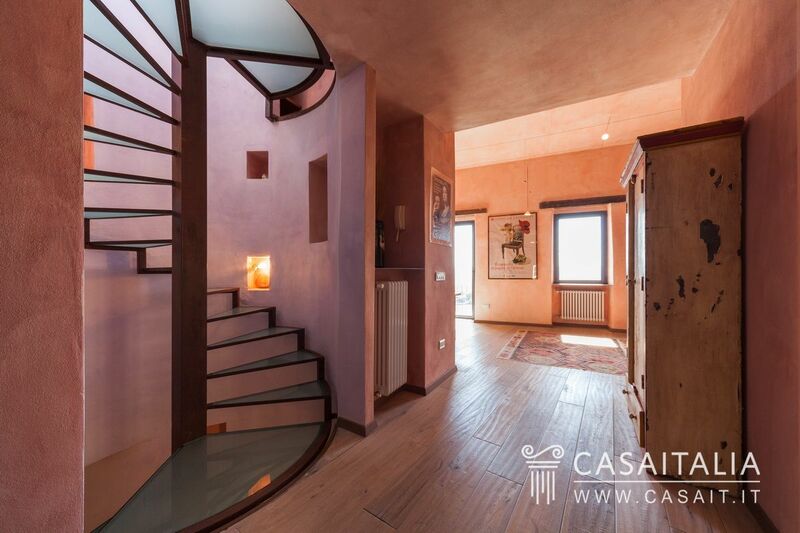 Going up one more floor leads to an attractive loft space with two single beds, looking down onto the living room below with a velux window providing light. 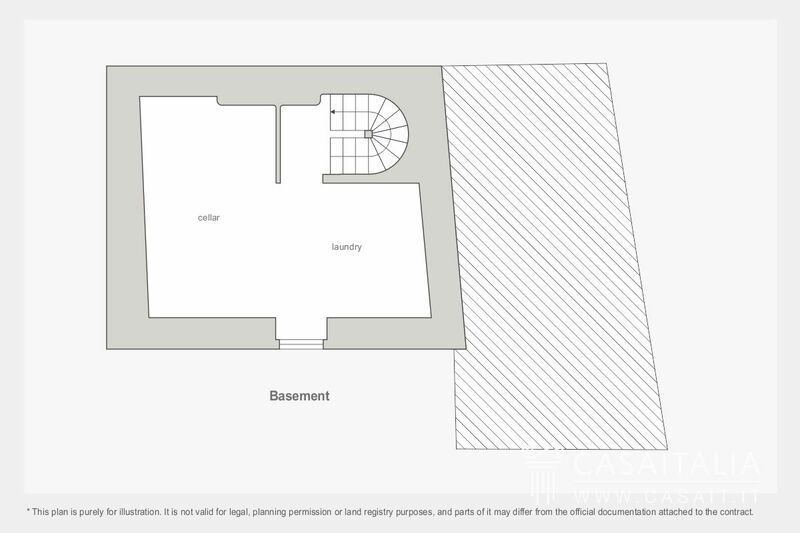 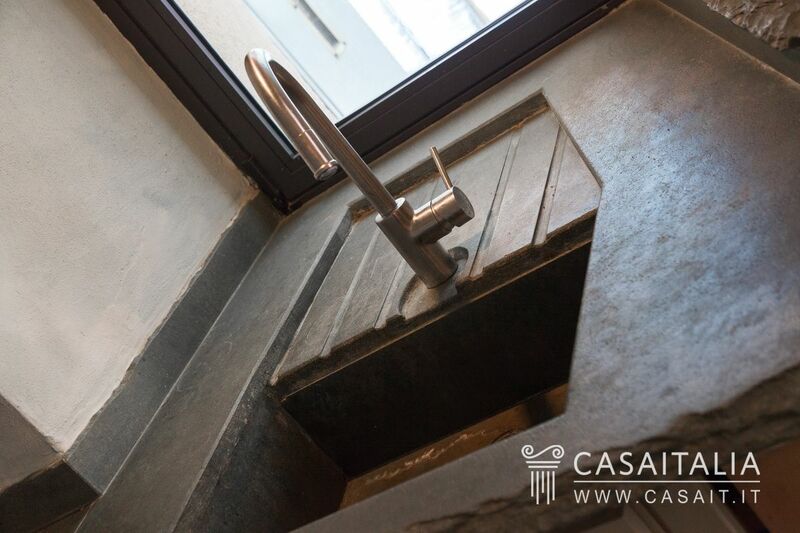 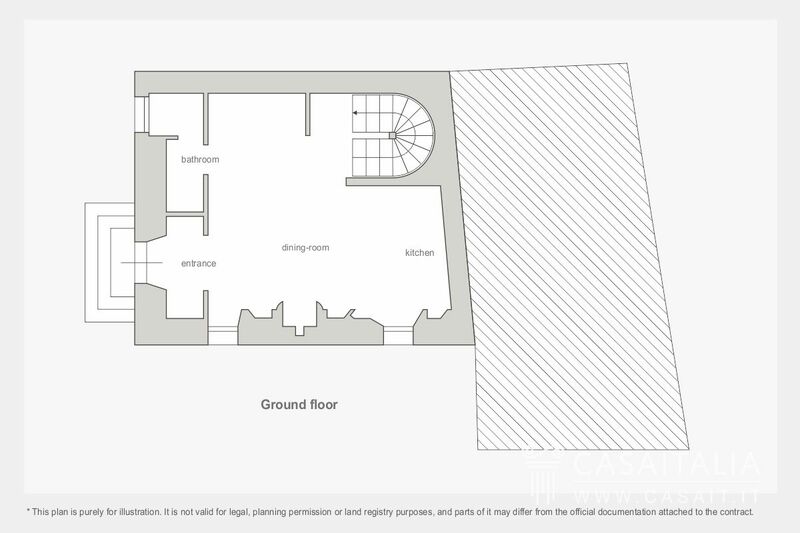 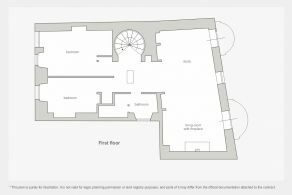 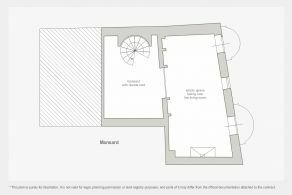 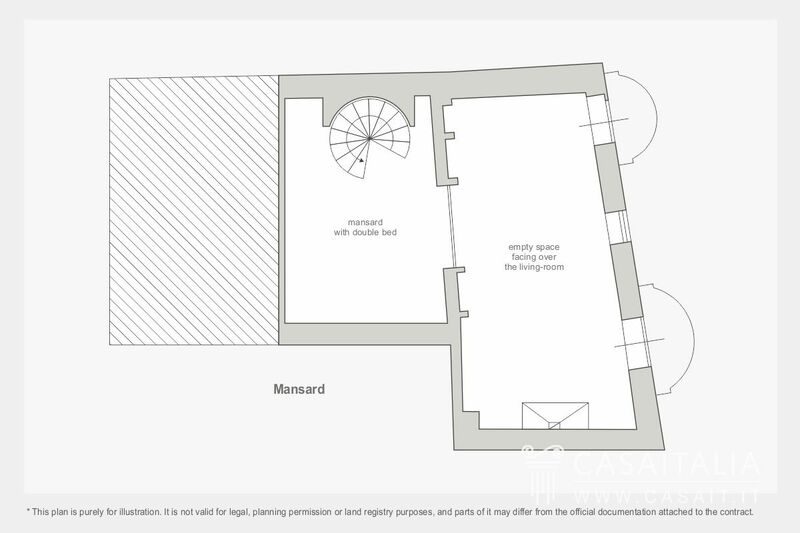 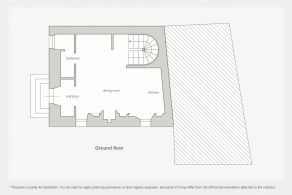 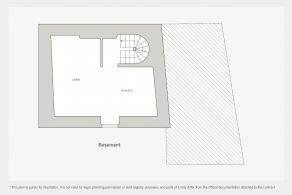 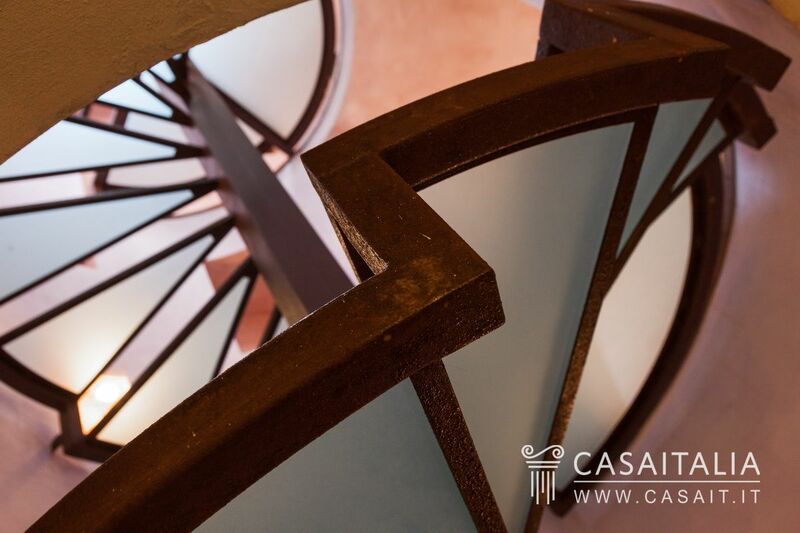 From the ground floor, the staircase goes down to the basement which has been converted into a large, comfortable cellar with laundry area, which can also be accessed directly from outside. 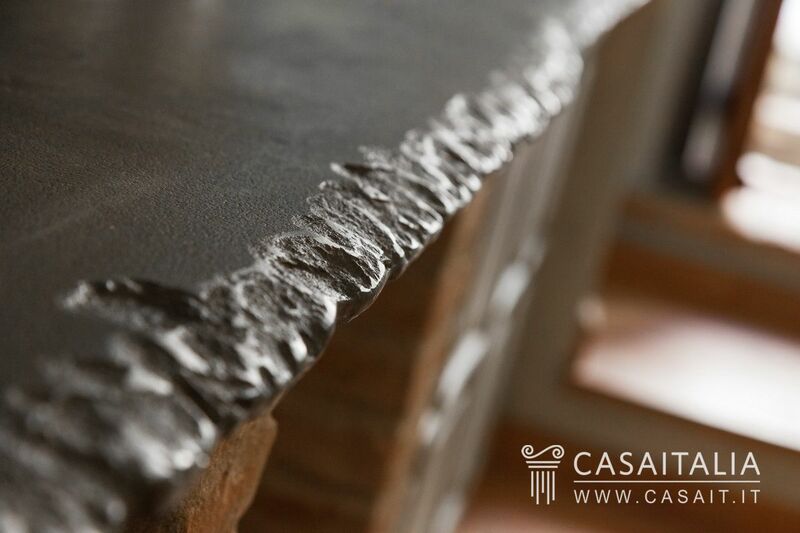 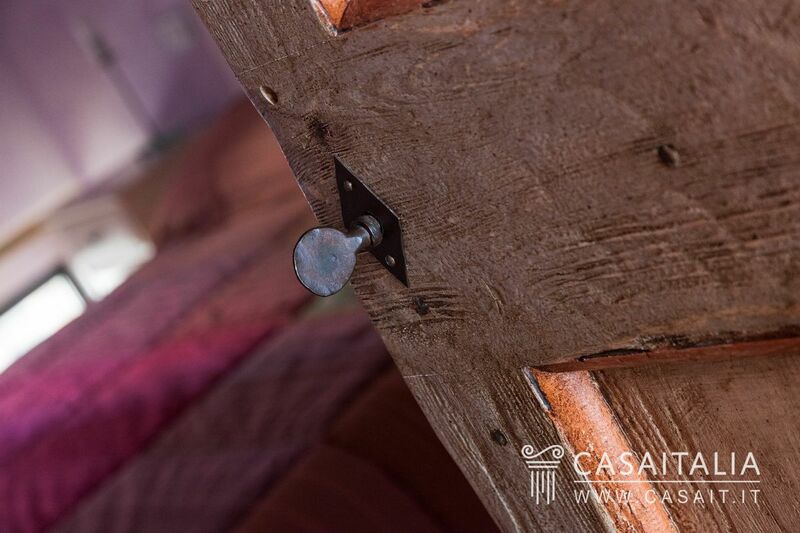 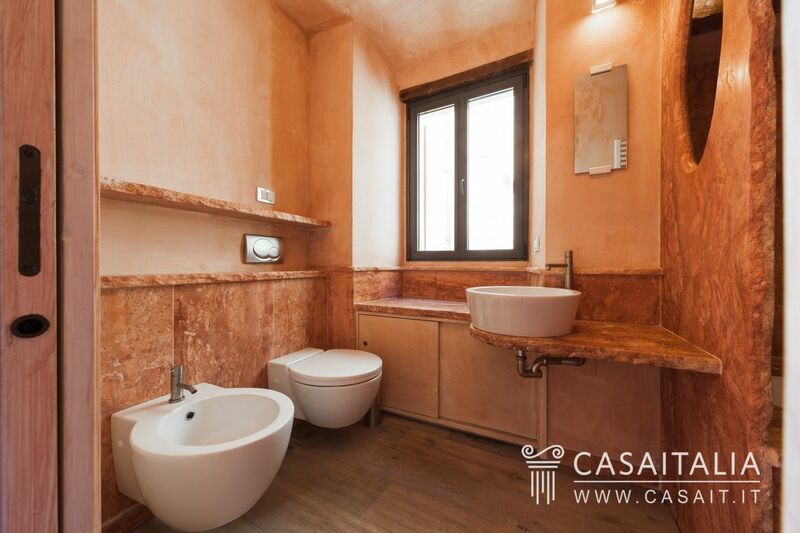 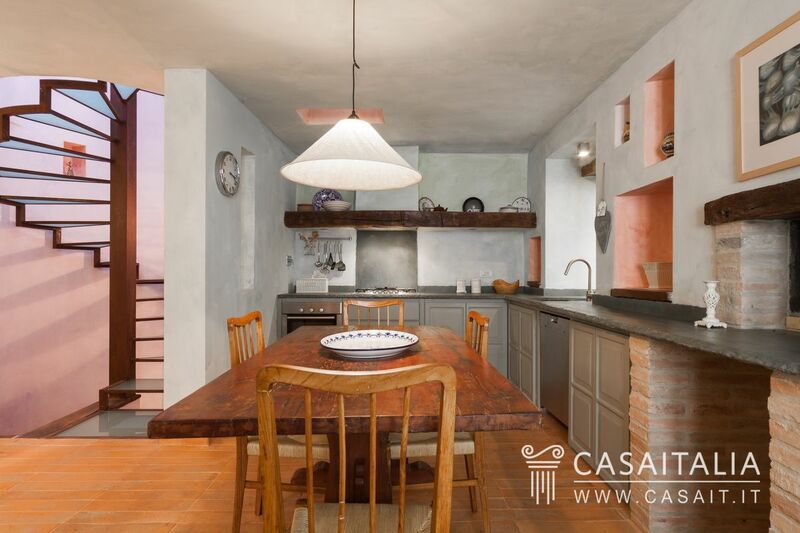 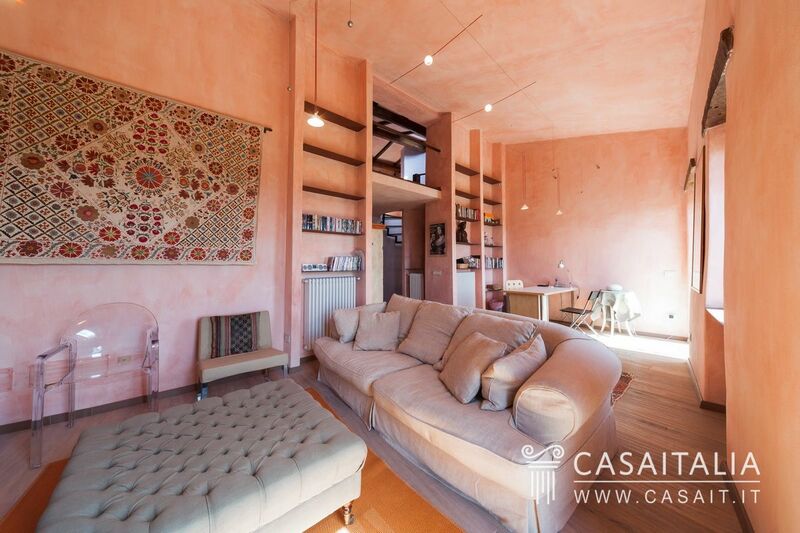 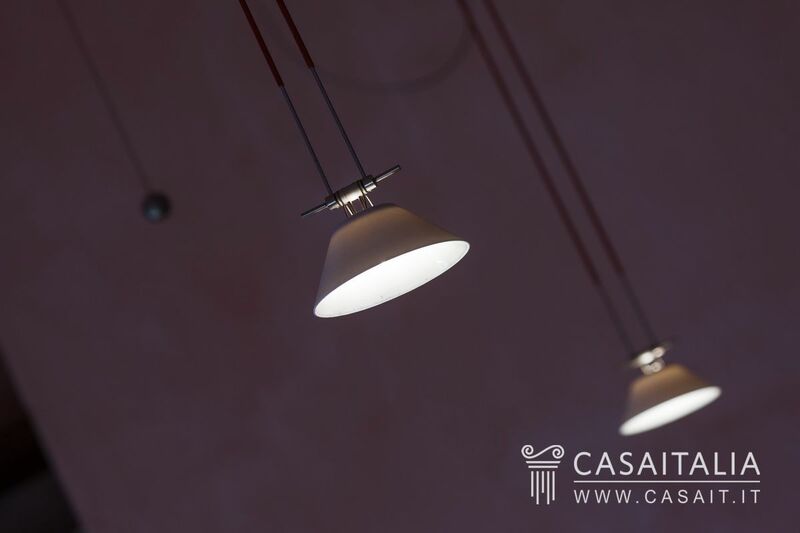 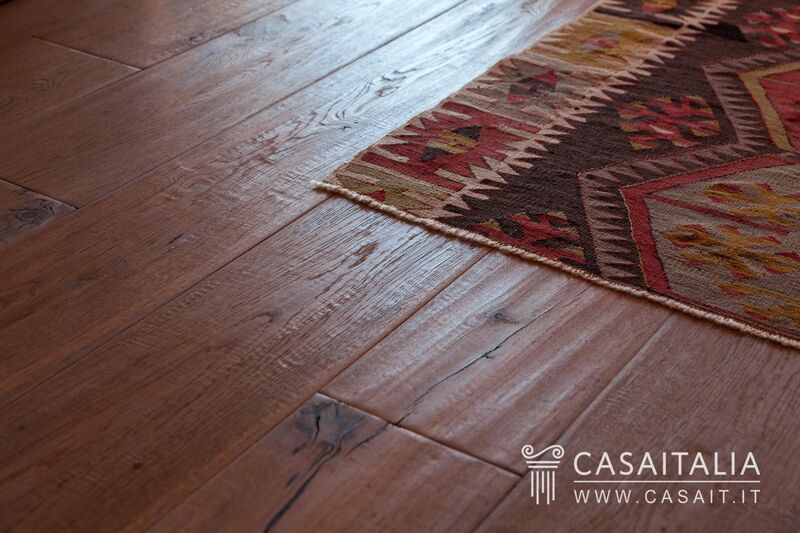 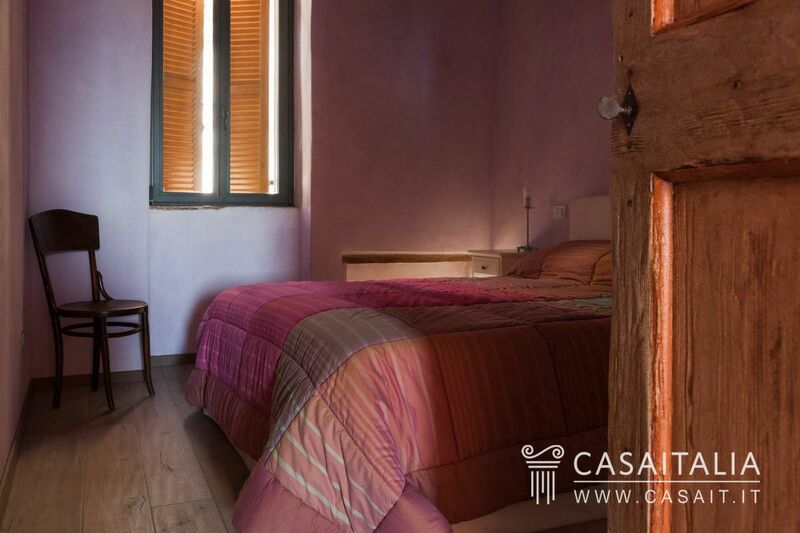 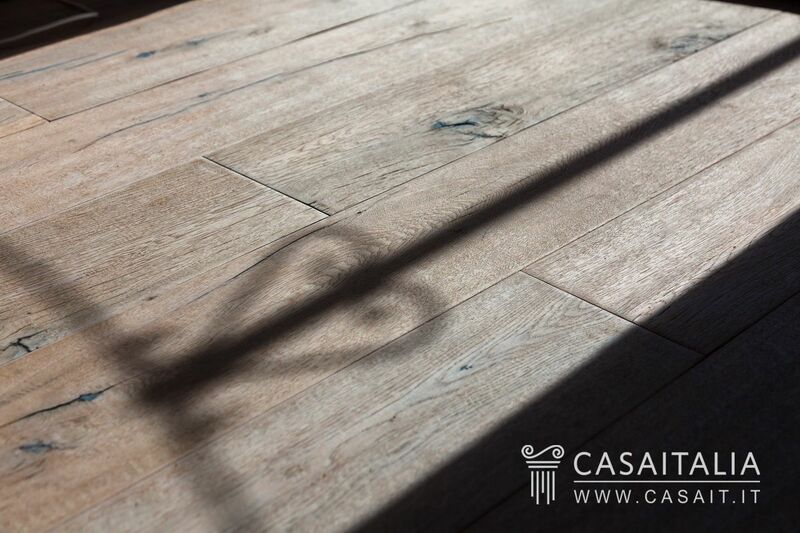 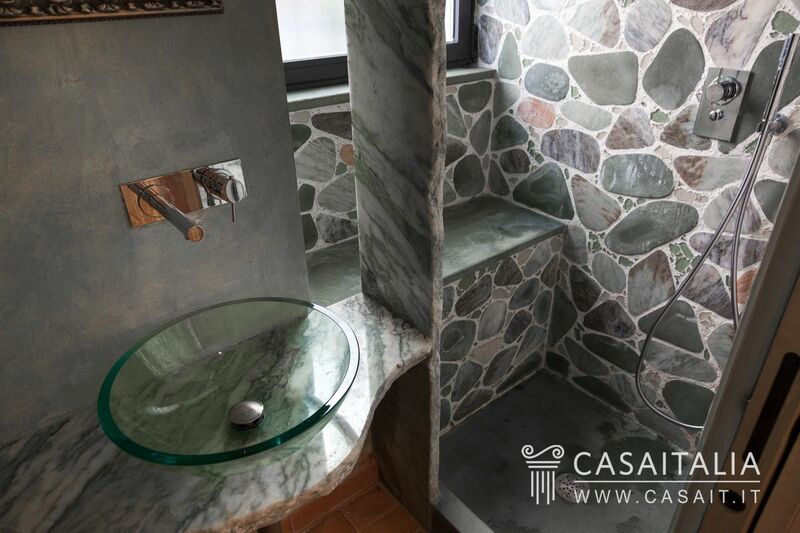 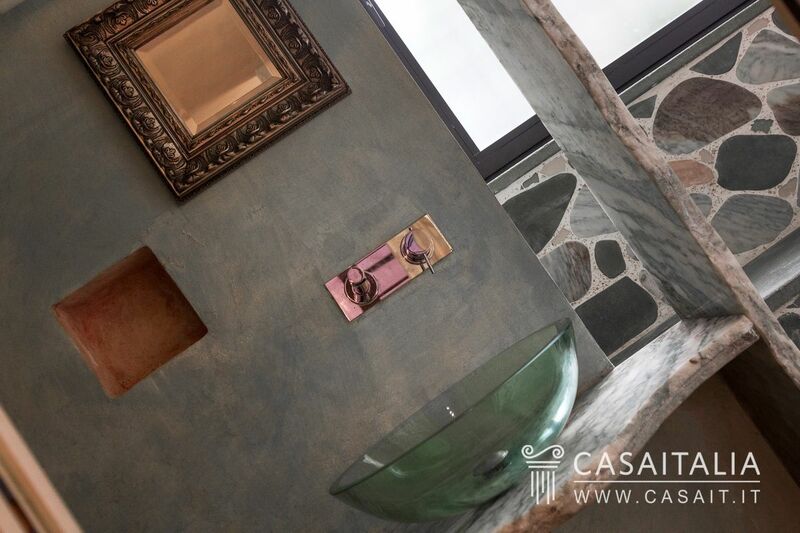 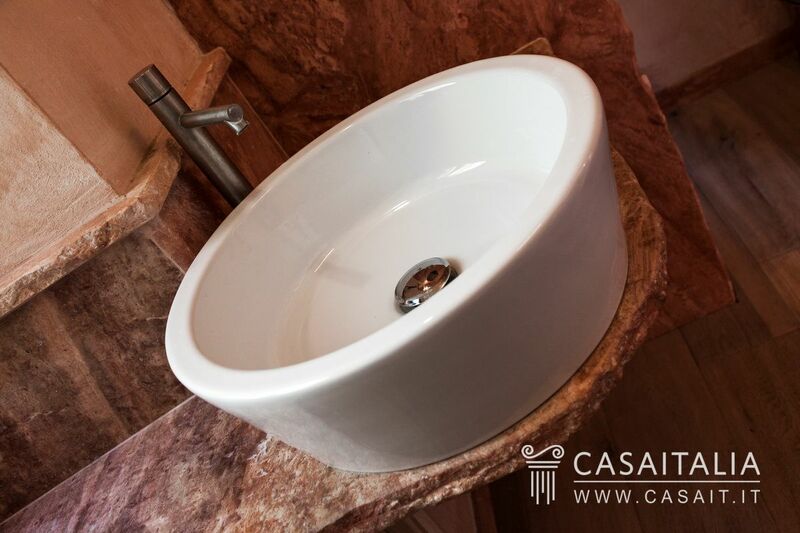 The building was completely restored by a Roman architectural studio and is in perfect condition. 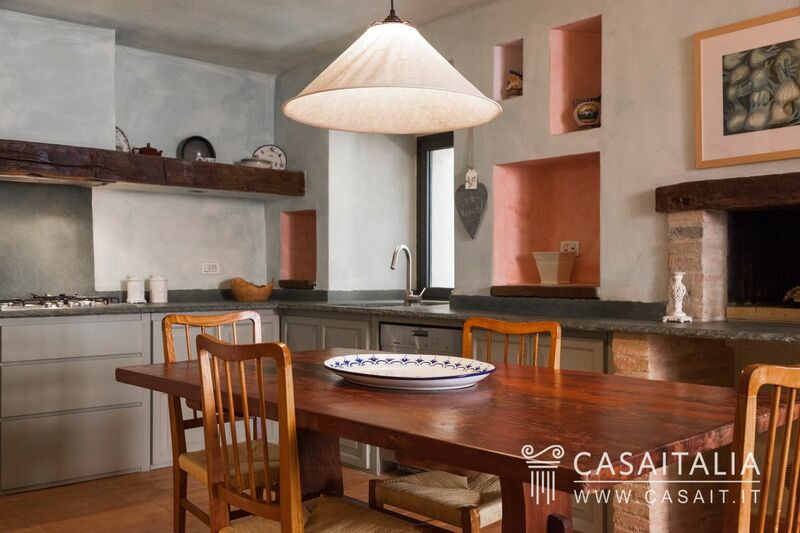 After walking through the ancient streets of the village, entering the house is a pleasant surprise: the modern style of the rooms is expressed through the design in particular, which is practical and functional, yet welcoming and quirky at the same time, and also the use of materials such as the floor tiles on the ground floor, the bare stone on the kitchen floor, the wood panelling on the first floor. 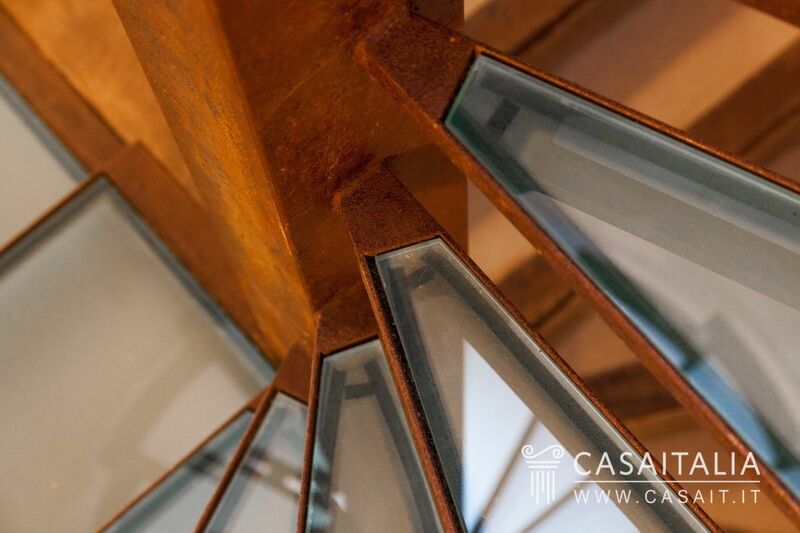 The staircase, in cast iron and toughened glass, is a decorative element which connects all the floors with the light that comes through it. 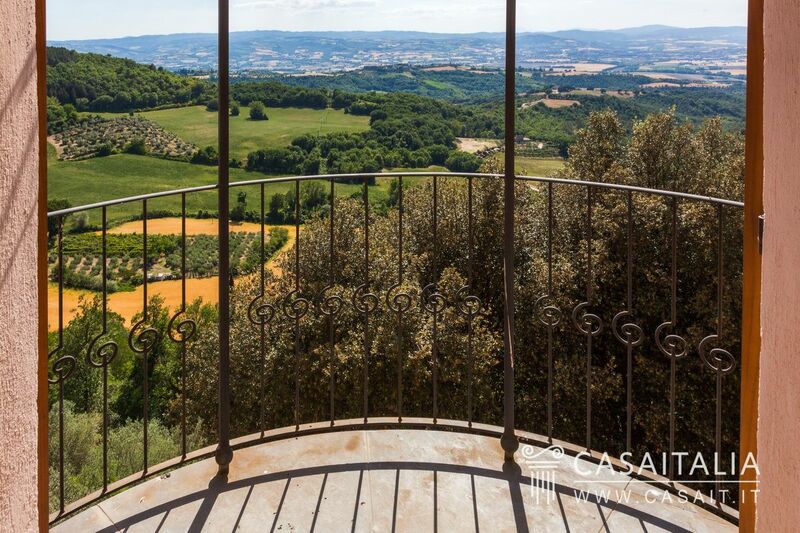 Two semi-circular balconies off the living room overlook the valley. 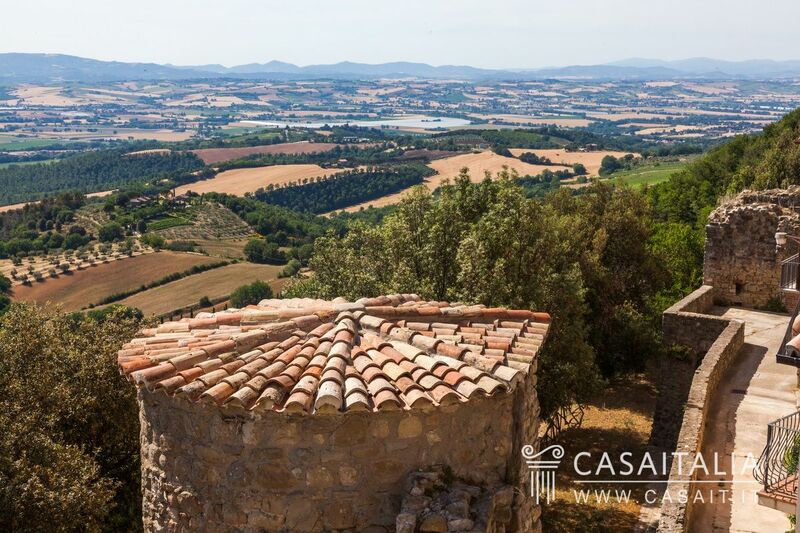 They provoke the feeling of being suspended above the countryside, as if you are looking out from the ancient towers which still line the walls of the town today. 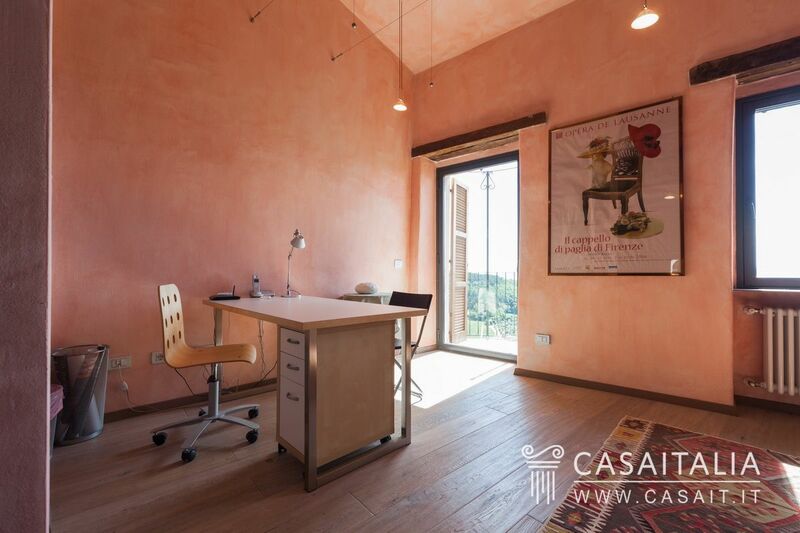 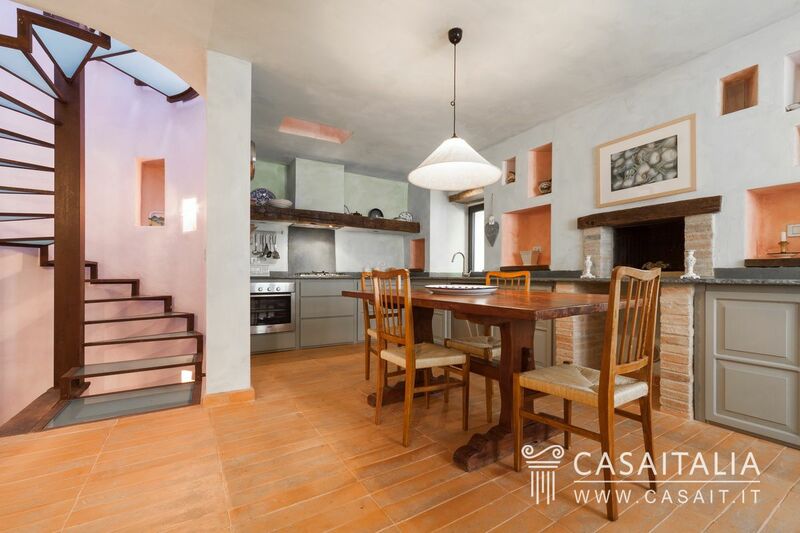 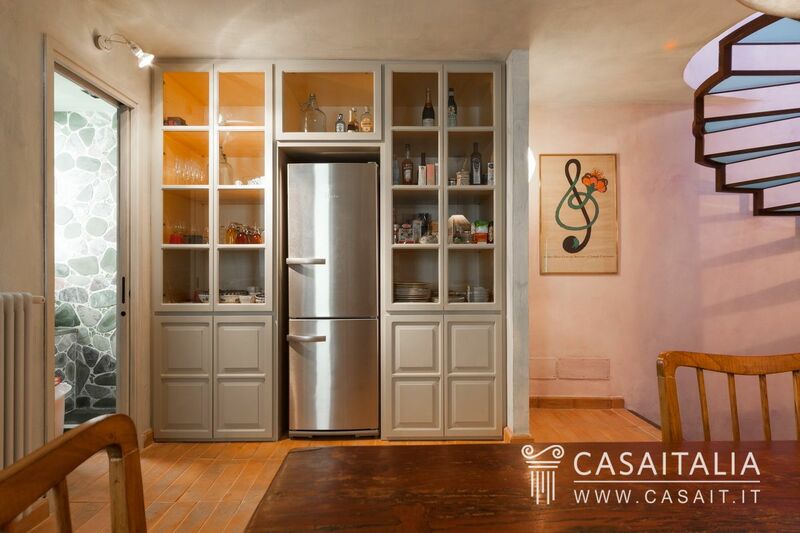 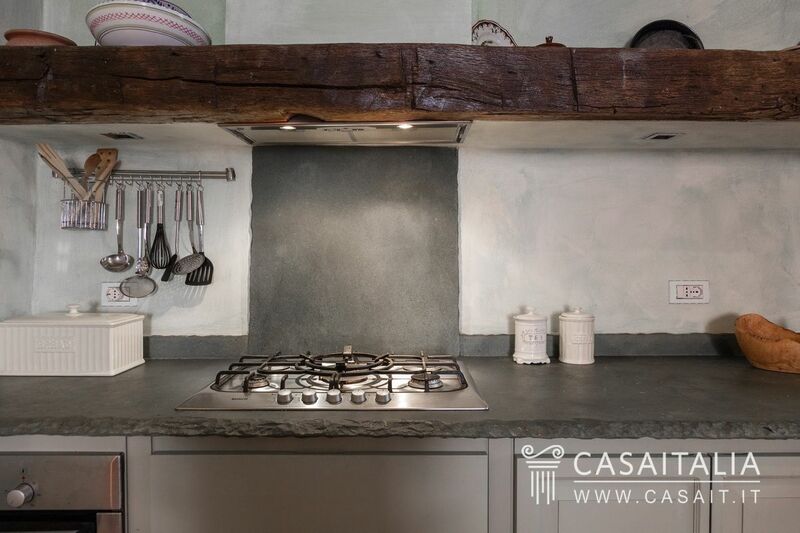 La Casa di Betty is an ideal pied-a-terre for those who want a detached property that is easy to manage, convenient for daily requirements and as a base for visiting Umbria and Tuscany, as well as Rome and Florence. It would be perfect as a holiday home or as an investment to rent out as holiday accommodation on a weekly basis to an international clientele. 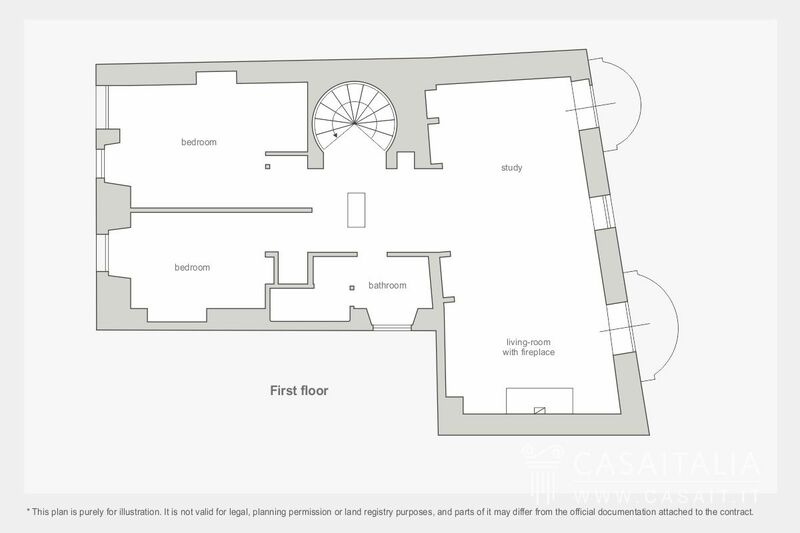 A flexible solution which allows you to use the apartment while at the same time providing an income while it is not in use.